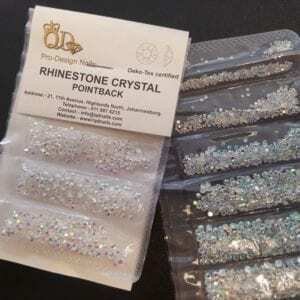 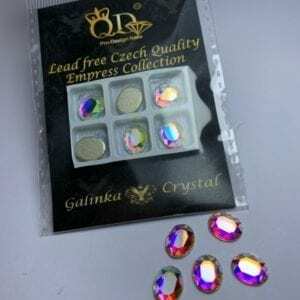 02 8x10mm Galinka Crystal 6pc Oval AB. 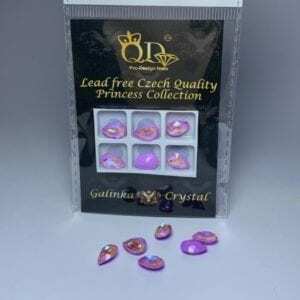 The finest czech, quality, beautiful lead free crystals. 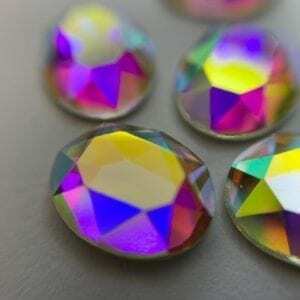 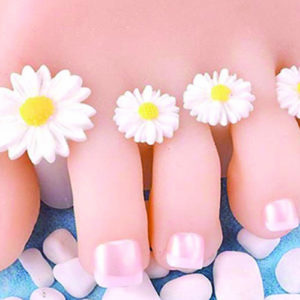 These are oval shape and come in a pack of 6. 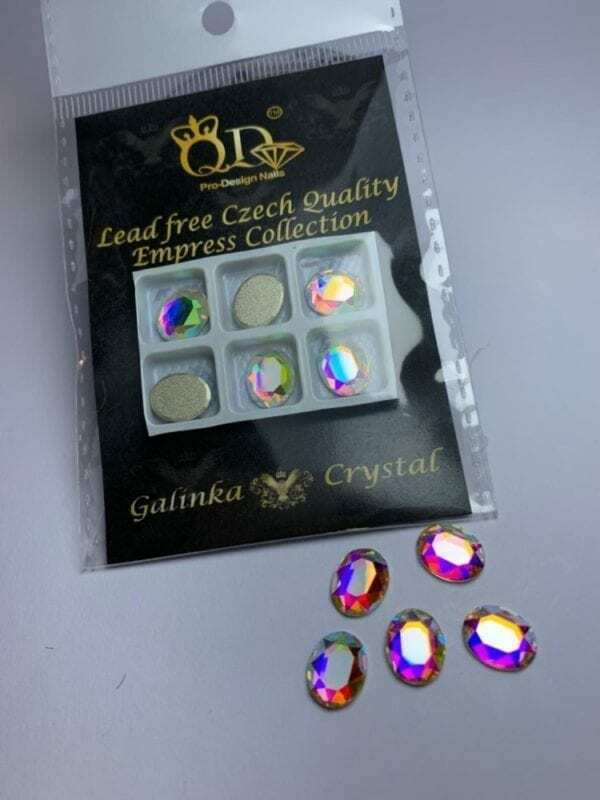 They are all flat-back, They are created utilising the latest technology silver plated back. 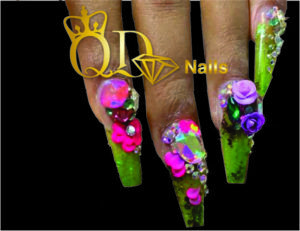 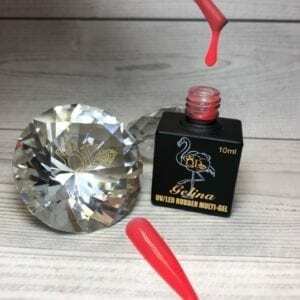 This coating is an extremely high quality and will last for very long on nails. 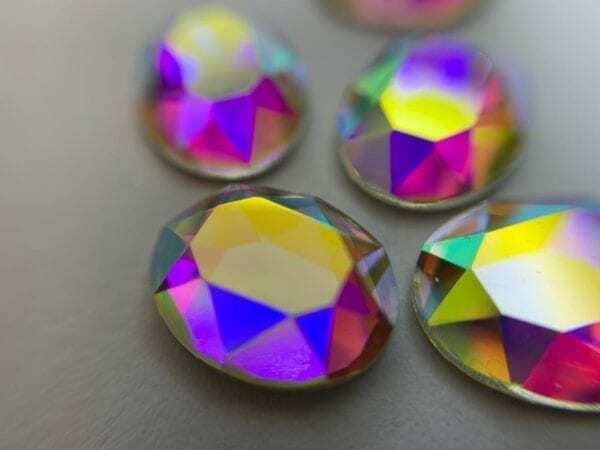 The old type flat-back was completely different, these are really revolutionary.